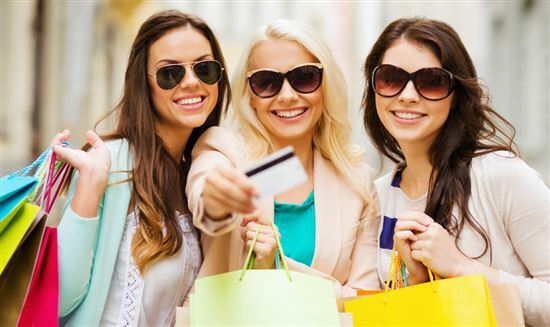 The Chase shopping portal is one of the best perks of the Ultimate Rewards program. 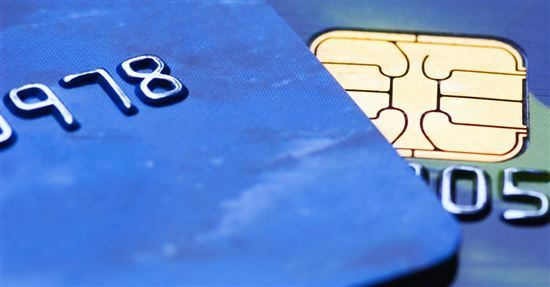 Chase is one of the few credit card issuers with this feature. Even after years of being a Chase Sapphire Preferred holder, I keep on forgetting about this perk. It's so easy to just stop by a drugstore when I'm already out and grab stuff I need. Or to be shopping at the mall with friends and make some impulsive purchases. Or even to just get everything I need from a single Amazon purchase. But this is seriously missing out on tons of points. 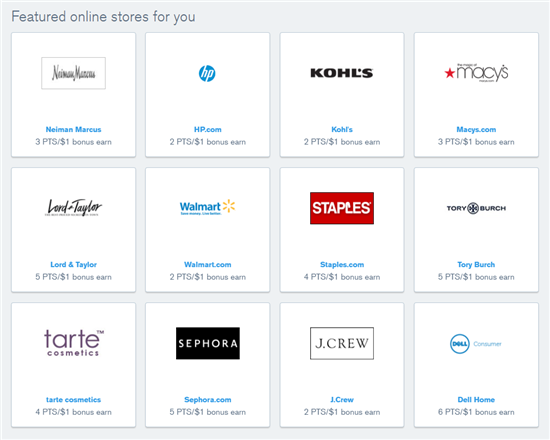 The Chase shopping portal is one of the fastest ways to rack up your Ultimate Rewards points. You can get a lot more bonus points per $1 spent. Here's what you need to know about shopping through Chase. Chase has a "Shop Through Chase" feature (previous Ultimate Rewards Mall) that awards bonus points for every $1 spent at partner merchants. So basically, instead of shopping at the physical store or the direct online site, just click through Chase's portal to the merchant's website. It's very easy. We'll show you next. Earn extra points per every $1 on purchases you were going to make anyway. Rack up points quickly for more cash back or airline miles (if you have a premium card). It takes you to the merchant's full website, so you get the same shopping experience. Did you know? For Ultimate Reward points earned with Chase Sapphire Preferred, Chase Sapphire Reserve, and Chase Ink Preferred, you can transfer them to a number of airline and hotel partners. 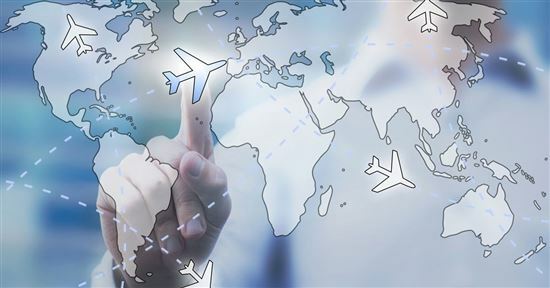 If you travel, you must check the latest Chase Sapphire Preferred promotion. 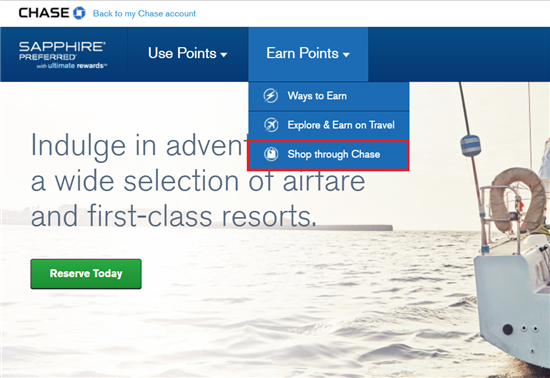 Deal: Chase Sapphire Preferred lets you earn 60,000 bonus points after you spend $4,000 on purchases in the first 3 months from account opening. That's $750 toward travel when you redeem through Chase Ultimate Rewards®. This card lets you earn 2X points on travel and dining at restaurants & 1 point per dollar spent on all other purchases worldwide. 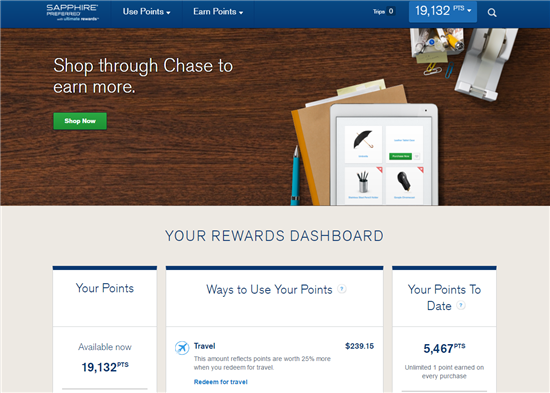 Here is a step-by-step guide of how to shop through Chase and earn bonus points. You can either directly log into your Ultimate Rewards account by going to www.ultimaterewards.com, or you can log into your Chase account and click on your Ultimate Rewards on the left-hand side. If you have more than one Ultimate Rewards cards, pick the one you want to earn the points with. 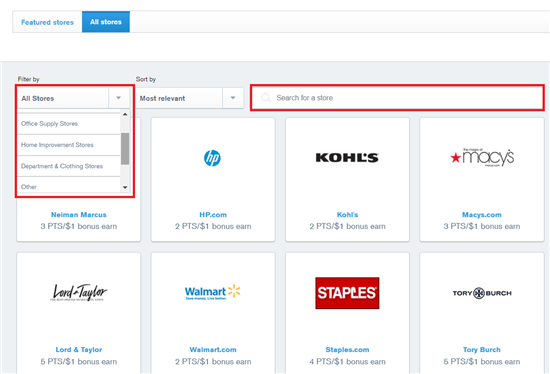 Step 2: Go up to the top to "Earn Points"
Hover over the pull-down menu and you'll see all the options for earning points. Select "Shop through Chase." Note: The screenshot is for illustrative purposes only. 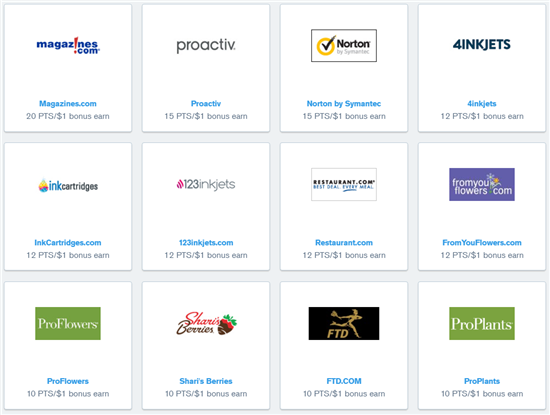 Participating merchants and offers are subject to change. Please log into your account to see current merchants and offers. Notice that below each merchant's logo, you see the bonus points. You can click on "All Stores" and slowly browse through the 250+ merchants. You can sort them by category to find the one you're looking for more easily. Or you can just type in your store name. 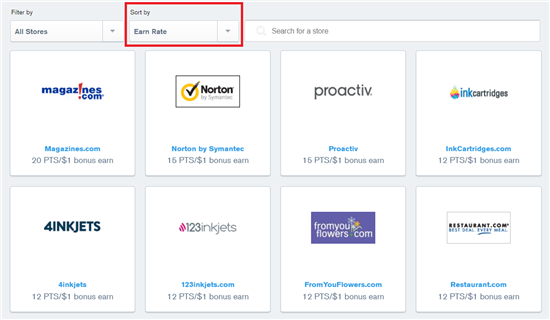 Or you can even search by the earn rate. You can see which merchants currently have high bonus payouts. Tip: Different Chase Ultimate Reward cards may have different bonus points for the same merchant. So if you have more than one, it's worth it to first check which card is giving a higher bonus. When you click on a merchant, you will first be taken to a page that confirms the bonus points and any terms and conditions. The screenshot is for illustrative purposes only. Participating merchants and merchant terms and conditions are subject to change. Please log into your account to see current merchants and merchant terms and conditions. The fine print says that I cannot use any outside coupons or discount codes. I cannot buy gift cards or similar cash equivalents. Some stores may also say that specific items aren't eligible for the bonus points. When you click on the green button, it takes you directly to the store's actual website. It's the exact same website as if you just directly went to sephora.com. So you get access to all the features. Finally, check out with your Ultimate Rewards card. This is the only way to guarantee that you will earn the bonus points you deserve. At the time of this review (July 17, 2017), there are 285 merchants in the Chase Shopping Mall. New merchants are always coming in and out, so keep an eye on it. Tip: If I were shopping at the mall and make an impulsive $50 purchase at Sephora, I'd only be getting 50 points. But if I just waited until I got home and made that same purchase on the Chase shopping portal, I'd be getting 250 bonus points. So definitely take advantage of this perk. It there a limit to how many bonus points I can earn? No. The points you earn are unlimited! There is no cap to how much you can earn with Shop Through Chase. Can you use a non-Chase card to check out and still get the bonus UR points? No. You must pay with one of the Ultimate Rewards cards in order to earn the bonus UR points. There have been reports of people who used another card and still got the UR points, but we think those instances are flukes. It cannot be guaranteed that you'll receive the bonus points. If you want to try your luck, just know that it's at your own risk (if you don't get the UR points). And you cannot call in to complain to Chase that you didn't receive points even though you went through its shopping portal. Do Ultimate Rewards cards offer the same bonus points? For the most part, the Shop Through Chase bonus points are pretty consistent between cards. But sometimes different Ultimate Rewards cards do award different bonus points for the same merchant. If you have more than one card, you can check first which card gives more bonus points. Can I just buy gift cards to get the bonus points? The merchants will each have their own terms and conditions. You'll see them when you click on the merchant (before going to the store's website). In most cases, the fine print will say that the bonus points are not eligible with the purchase of gift cards, gift certificates, or other cash equivalents. 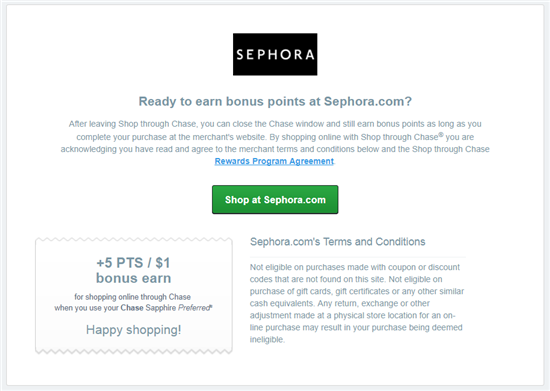 If you buy an item through Chase's portal and then make a return either by mail or at a physical store, the points you earned will be deducted. How often does the amount of bonus points change? The points usually change monthly, but a lot of the merchants will stay the same. However, the unusually high bonus points (such as 10x) may not stick around for too long. So if you see one and happen to need something from that store, don't hesitate too long to purchase. When are the points posted? The points are posted on your statement within 3-5 business days. But some merchants may take longer. Can I combine points with other Ultimate Rewards cards? Yes. If you have more than one Ultimate Rewards cards, you can combine the points at any time. You can also transfer your points to a member of your household with a different UR account. Related: Read our Ultimate Rewards review to see all you can do with your points, including: cash back, book travel, and transfer to Chase travel partners. Don't overlook this perk. Change your shopping habits just a bit. With just a little extra work, you can earn a lot more per every dollar spent. So try not to make those impulsive purchases when you're out. If you need anything, it's always a good idea to check if the merchant is part of Shop Through Chase. It's almost guilt-free shopping. Disclaimer: The information for the Chase Freedom, Ink Business Cash Credit Card, and Ink Business Unlimited Credit Card has been collected independently by CreditDonkey. The card details on this page have not been reviewed or provided by the card issuer.